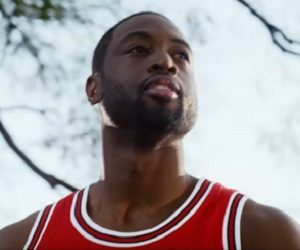 Gatorade has released a new commercial, starring Dwyane Wade. The NBA superstar collaborated with the energy drinks brand for a short film titled “Sounds of Hope”, highlighting how the sound of dribbling helped him stay focused on his goals and promoting his “Spotlight On” initiative, which brings attention to city youth that are making good choices in and out of the classroom. The video features a young Dwayne who stays away from the negative influences by dribbling and the adult Dwayne back in his hometown, Chicago. “People ask why I came back”, says Wade, adding “I’m here to return what the game has given me. Gatorade is helping me put a spotlight on hope. See how we are giving kids from Chicago access to opportunities that help them achieve their dreams”. The track used in the commercial is “Chicago/We Can Change The World” by Graham Nash.